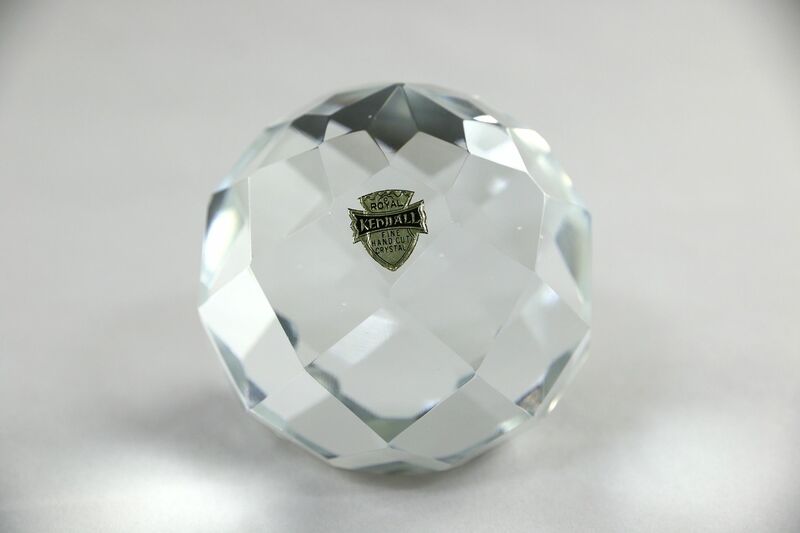 Signed "Royal Kendall, Made in Japan," a cut crystal paperweight is faceted. Size is 3" diameter and 2 3/4" tall. Please view 5 photos at full screen size for best detail. Related items in photos are sold separately.